Over the last decade, some once-polarizing behaviors have gained acceptance in American society to a degree that seemed unthinkable just a few years ago. The most prominent among these are gay rights and marijuana legalization. In both cases, the sea change in public opinion was driven by a younger cohort of Americans that proved far more open-minded than their elders; one could glance at an opinion poll in 2005 and predict with a certain degree of confidence that a more progressive generation would simply crowd out their more conservative forebears simply by virtue of demographic math. But guns aren’t like that. A Pew Research survey released in June found that 47 percent of Americans think it’s more important for the government to protect gun owners’ rights than it is to control gun ownership. And 51 percent favor stricter enforcement of ownership. A timeline of responses to this question shows that, for reasons that are not clear, America has become significantly more conservative on the issue since the 1990s — despite the fact that, notwithstanding a recent uptick, crime rates have dropped precipitously since then. Perhaps more surprisingly, a look at the differences in polling by generation found that millennials haven’t differed very much from Generation X, Baby Boomers, or the Silent Generation in their attitudes over the last few years. The findings may seem like a head-scratcher, since millennials have a reputation for being more liberal than the population at large on economic and social matters. But, as Pew found in its recent survey, gun culture is simply ingrained in many American households, especially rural ones, and especially among men. “Many American gun owners exist in a social context where gun ownership is the norm,” and “experience with guns starts relatively early particularly for those who grew up in a gun-owning household,” as the organization put it in a summary of its findings. These facts of American life have not seemed to change much in generations, leading to a frozen-in-amber dynamic. The hot-button issue guns may resemble most is abortion. When it was legalized nationally in 1973, opinions on the issue were split along generational lines. But that schism has narrowed significantly in recent years, and the fight over access and restrictions looks to be as divisive as it is now for a long time to come. 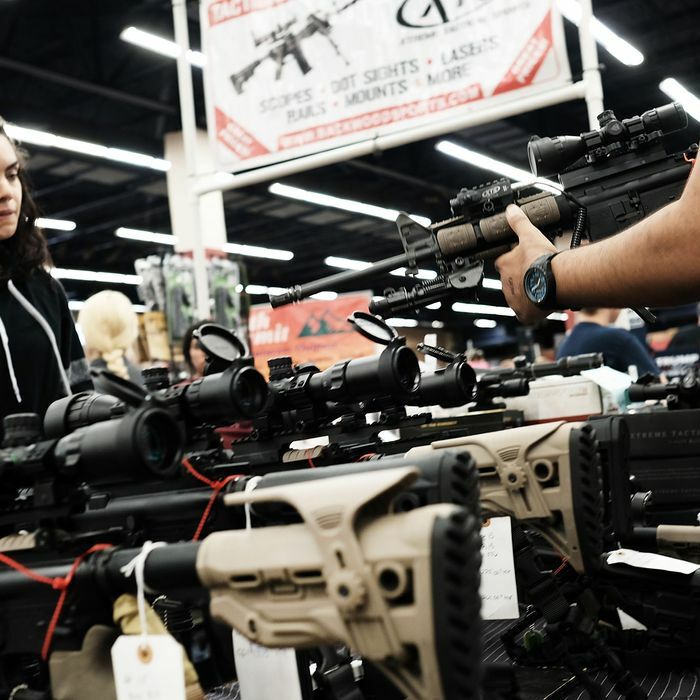 There are all kinds of reasons Congress, and most states, never do anything to reform gun laws, from the considerable electoral clout and political access of the NRA to lawmakers’ cozy relationships with gun manufacturers to personal ideology. Even a measure with overwhelming public support, like background checks for all firearm purchases, went nowhere in the Senate in the aftermath of the Sandy Hook Elementary School massacre. But if hopeful liberals are counting on a rising tide of public opinion to put recalcitrant GOP lawmakers’ feet to the fire, they may be waiting a long time.